A free market on whose terms – is this really a fruitful solution or does it simply carve out more finely the edges to the us and them narrative. This kills off a Chinese pet project in one flex of foreign and economic policy, one the Chinese state has been happy to fund and use as the spear tip in their economic incursions abroad. They thought wrong about what the world wanted. In their minds, value and efficiency were probably paramount, thinning margins no barrier to demands from markets in the West. Famously, only one dollar goes out if every Levi’s jeans made goes to the worker, and little more to the factory. The authors of the free market are not prepared to truly shake its center and make it competitive globally. it seems demarcation by regionalism is the new cool in the semantic range of what free means. Of course it pleases business as it restores margins designed to feed an expected and established standard of living. The Chinese now know there is divergence in consensus across the notion of global village, despite economic interdependence as a big player in global production networks – – – what free market means to them is little more than subtext to hypocrisy now. Despite bailing out Europe more than once and financing growth by sheer Chinese demand in so many areas, this is their reply. In one act of posturing, the West gains an upper hand as it nips away at the supply carts of the Chinese green technology vanguard. One thing is for sure as to what the Chinese will not do. Especially in this day and age. But, it is easy to hide intent behind words. Some taunting outside the walls of the foe’s gates will probably suffice now. The US and the EU are clearly redefining their economic strategy, trying to defend their energy companies from Chinese competition. But some European partners seem uncertain what to do. 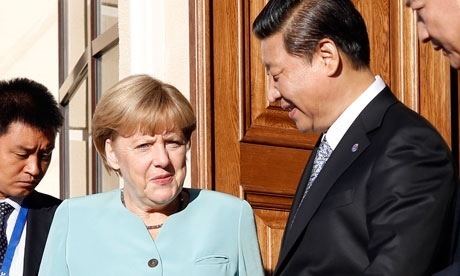 Germany won’t accept losing significant trade with China, and even Washington’s closest European ally, Britain, is worried about the consequences of these possible measures against China. The EU Commission doesn’t seem to be really interested in the first two aims of renewable sources, environmental protection and energy diversification, but just willing to boycott Chinese production through an alliance with US. All these point to an old question: Is the “free market” really free? How likely is a trade war? China is certainly angry about the tariffs and there is a lot of trade at stake – 21bn euros worth in 2011, according to the European Commission. But anti-dumping actions are an everyday feature of the global trade landscape. There has been an average of more than 200 a year. They are perfectly legal under World Trade Organisation (WTO) rules, provided they follow the WTO’s procedures. Indeed China is a fairly big user of anti-dumping actions itself. The European Commission’s plan to start the anti-dumping duty tariff relatively low, and then increase it later, looks like a negotiating tactic. If the Chinese firms were prepared to undertake to charge a sufficiently higher price, the Commission could accept that. The duties are provisional at this stage and they could be removed if the EU countries decide to do so in December. That is a possibility. So the heat is on now, but there are still opportunities to extinguish the trade fires. Filed under: BBC, Beijing Consensus, Charm Offensive, Chinese Model, Climate Change, Culture, Democracy, Domestic Growth, Economics, Education, Environment, Europe, European Union, Finance, Foreign aid, Government & Policy, Green China, Ideology, Influence, International Relations, Law, Mapping Feelings, Modernisation, Nationalism, Peaceful Development, Politics, Public Diplomacy, Reform, Resources, Soft Power, Solar, Strategy, Tao Guang Yang Hui (韬光养晦), The Chinese Identity, The construction of Chinese and Non-Chinese identities, Trade, U.S. Unfair or unacceptable paradigm? China finances its economic reach to extend its soft power. It is perhaps, simply, a more synergistic strategy between state and its business sector. Chinese solar products I use have proven ruggen and hardy, down to the little solar toys. Please click here to read the full article at the Harvard Business Review. 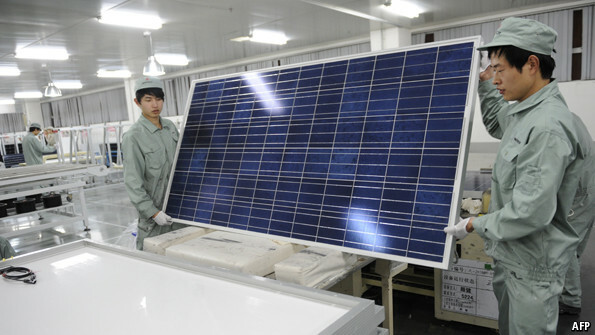 The Economist on the harsh environment overarching China’s plans for solar power eminence. Globally speaking, new energy is closely related to the welfare of mankind. China has already become a leader in new energy development and will contribute even more in the future. To that end, it would be prudent for all the world’s countries to refrain from engaging in trade wars and protectionism targeting new energy products. BP, an oil giant formerly known as British Petroleum, ran an ill-fated marketing campaign some years ago proclaiming itself “Beyond Petroleum”. 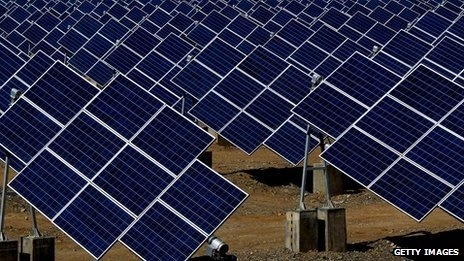 The idea was to trumpet its big investments in renewable energy, especially its brief position as one of the world’s biggest manufacturers of solar panels. That effort came to be seen as greenwash as punters realised that the company’s dabbling in greenery did not take away its zeal to produce—and alas, it turned out, recklessly spill—gargantuan quantities of the mucky black goop that has always been the main source of its profits. Not long after that, Suntech, a Chinese solar-panel manufacturer, skyrocketed to the top of the world solar industry. So stratospheric was the rise in the firm’s valuation after it went public in 2005 that Shi Zhengrong, its founder, was briefly China’s richest man. At the peak of his wealth and his company’s prospects, he grandly even declared his ambition for Suntech to become as big as BP. As a clean-energy company, Suntech at least had the chance to fulfil BP’s misleading promise of going beyond petroleum. Alas, Suntech has instead ended up beyond profit. Filed under: Bankruptcy, Beijing Consensus, Charm Offensive, Chinese Model, Climate Change, Communications, Copenhagen Climate Change Conference, Domestic Growth, Economics, Environment, Europe, Government & Policy, Green China, Influence, International Relations, Mapping Feelings, Politics, Resources, Soft Power, Solar, Strategy, The Chinese Identity, Trade, U.S.